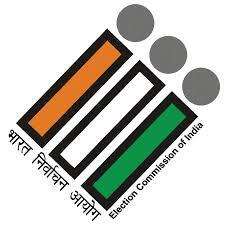 To ensure the conduct of free and fair elections, the Election Commission on Monday issued an advisory to the media that dissemination of poll result predictions in any manner, including by political analysts, astrologers or tarot card readers, during the ban period on exit polls, is prohibited and amounts to violation of Section 126A of Representation of the People Act. Pointing to some TV channels and newspapers that telecast or publishes articles and programmes projecting the numbers of seats likely to be won by political parties during recent polls, Election Commission said this was despite the provisions of Section 126A of the Representation of the People’s Act that ban dissemination of exit poll results between the start of polling and the end of polling for the last. The EC said in its press release that prediction of results of elections in any form or manner by way of predictions etc. by Astrologers, Tarot Readers, Political Analysts or by any persons during the prohibited period is violation of the spirit of Section 126A which aims to prevent the voters still going to polls from being influenced in their voting by such predictions about the prospects of the various political parties. “All the media (Electronic and Print) are advised not to publish or publicize any such articles or programme related to the dissemination of results, during the prohibited period i.e. between 7.00 AM on 11.04.2019 (Thursday) and upto 6.30 PM on 19.05.2019 (Sunday) in the current General Elections to the Lok Sabha and State legislative assemblies of Andhra Pradesh, Arunachal Pradesh, Odisha & Sikkim, 2019 and the Assembly bye-elections being held in several states,” read the EC’s press release.